Meet fondue's new best friend! Link to Meet fondue's new best friend! Join us Easter Sunday for four courses of fondue, family, and fun. Special appearance by the Easter Bunny! There is no better way to connect with family and friends than time together enjoying a wonderful meal. OPEN at noon. Easter Bunny here until 3:00pm. There is no better way to reconnect with family and friends than time together enjoying a wonderful meal. Join us Easter Sunday for four courses of fondue, family, and fun. Special appearance by the Easter Bunny! • Easter Bunny here from noon to 3:00 pm! To join the Club and receive offers and benefits like the one above please click here. Everyone's mom is the best, but yours really is! Show her how special she is by taking her to The Melting Pot Houston this Mother's Day for a pre-set four-course menu complete with complementary "Mom"osas for the mothers. Everyone's mom is the best, but yours really is. Show her how special she is by taking her to The Melting Pot Houston! Prices are plus tax and automatic 20% gratuity. Children's dinner is three course dinner with special entree. Please no sharing. Children 5 and under may share with adults. Not combinable with any other promotions or offers. 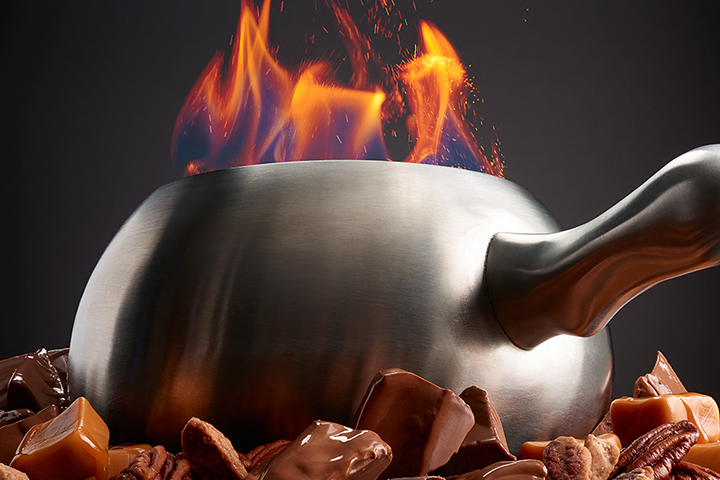 Someone rubbed a magical fondue pot and now all our cheesiest wishes are coming true! Aladdin and the princess of Arabia will be joining us for a very special afternoon to meet and take photos with children young and old! Someone rubbed a magical fondue pot and now all our cheesiest wishes are coming true! Aladdin and the princess of Arabia will be joining us for one very special afternoon! Fairytale Headquarters will join us with characters to visit with children young and old and take photos in front of our new-and-improved photo booth wall. All tables will have a photo taken that can be retrieved online. Commemorative pewter framed photos $10 additional. The characters will be here from 12 noon to 4p, so make a reservation at 3:30p or earlier to ensure time for a visit. Visit thefairytaleheadquarters.com and follow them on Facebook to learn about their other princesses and heroes and the services they provide. **Prices are plus tax and suggested 20% gratuity. Please inform a manager of any hospitality or service issues. Please no sharing. No offers, promotions, or other discounts are available with this promotion. For the safety of our guests, please check all flying carpets at the door. The Melting Pot of Houston is the perfect restaurant to begin the perfect prom! When you dine at Melting Pot Houston on the evening of your prom and each person in your party orders four courses, we'll take care of the tax and gratuity (about a 25% discount)! The Melting Pot of Houston is the perfect restaurant to begin the perfect prom! Thousands of students have enjoyed the annual tradition with us. The Melting Pot prides itself on providing outstanding service and treatment of our prom clientele. Parents can rest assured that alcohol will not be served at any prom table. To arrive at prom at the desired time, students should allow two hours for dining plus travel time. Larger parties should allow an additional 30 minutes. We're still serving up brunch every Sunday from 12p-2:30p, but we've improved our menu! Try our 3-course brunch menu with choice of cheese and chocolate fondue PLUS any of our brunch plates- now featuring Very Berry Waffles and our Green Goddess Scramble...with Bacon! Bacon Egg Cheddar | Alpine Benedict | See our dinner menu for more options! Melt away the stress of the work day! Join us for happy hour every Monday through Friday in our bar area booths! 1/2 price Cheese Fondue, Salads, & Chocolate Fondue. You can also enjoy our wine and cocktail specials through 6:00p in the dining room! Melt away the stress of the work day! Join us for happy hour every Monday through Friday! Like us on Facebook to find out about exclusive specials and events and grab your photos from dining with us!